When it comes that time in your life when you are thinking about starting a family or having another child, there are so many things to consider and the list just goes on and on! In this blog post we will focus on some of the key things to consider before getting pregnant such as diet, exercise and lifestyle choices that will help prepare your body for pregnancy. The best thing you can do for yourself and your baby to be is to be healthy. It is important to be in the healthy weight range for your body as being underweight or overweight can limit fertility and increase the risks of complications during pregnancy. 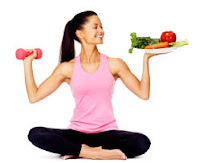 The best way to keep your weight at bay is via food and exercise. Exercise is great for your general health and well-being and should definitely be kept up pre-pregnancy at a low to moderate intensity level. High intensity workouts during preconception should be avoided as excessive exercise could alter your menstrual cycle and even halt ovulation in some women. Brisk walking is an excellent low impact preconception exercise when done in moderation such as 30-60 minutes 3-5 times a week. If you are already a runner, then you can continue to run however limit it to moderate pace jogs and avoid training for that marathon! Avoid lifting heavy weights instead lift lighter weights with increased repetitions or resistance training such as push ups, squats, lunges and crunches. These will still help you build muscle tone and bone strength and help prepare your body for pregnancy. Avoid Bikram yoga (intensified yoga class run in a room very hot room). However in general yoga can be and ideal exercise before pregnancy as it builds strength, endurance, balance, muscle tone and a great relaxation tool but like any exercise, just remember not to over do it. Avoid triathlons or those endurance long rides, however both offer great low impact forms of pre-pregnancy exercise when done at a low to moderate intensity level. Certain activities such as downhill skiing, horse back riding, scuba diving or other extreme or contact sports are not recommended during the preconception phase due to the increased risks of receiving a blow to the abdomen. 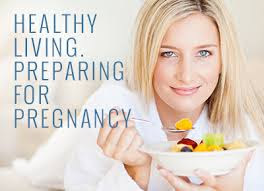 Not only is a healthy diet great for your health in general but sticking to a healthy well balanced diet can also help increase your chances of conceiving. Pre-pregnancy is the perfect time to start making changes to your diet by eating more of the things we know are good for us and less of the bad. Try to include each day in your diet five servings of fresh fruit and veggies, lots of starchy foods such as grainy bread, pasta, cereals, & rice. Some protein with every meal. Iron rich food such as red meat daily or substitute if your a vegetarian and aim for three portions of dairy a day. If you consume alcohol or coffee unfortunately now is the time to start thinking about reducing your intake or eliminating them from your diet. If you are a smoker then you should definitely be thinking about quitting as smoking has been proven to increase the risk of complications during pregnancy and also could attribute to Sudden infant Death Syndrome (SIDS). Although a supplement is recommended it should not substitute a healthy well balanced diet, it should be taken in addition to well balanced diet. A supplement such as Elevit with Iodine will help meet the nutritional needs of women who are trying to conceive, pregnant and breast feeding. Folate or Folic Acid is a B group vitamin needed for healthy growth and development and helps prevent birth defects which is also included in most pregnancy multivitamins. Click the link to veiw, save or print our Pre-Pregnancy Checklist. Planning for a baby can be somewhat overwhelming not only for those thinking about starting a family for the first time, but also for parents considering bringing another bundle of joy into this world. Although as the saying's go "you will never truly be prepared for parenthood" or "there is never a right time to have a baby" however you can make it a little less overwhelming by being well prepared and informed about the journey you are about to embark on. In our next blog post we will guide you on eating well and food safety as well as exercising to continue a healthy lifestyle during pregnancy. Baby jumpers are essentially composed of a seat and a flexible strap attached to the seat. You put your baby in the seat, tie him with the belt and the rest is up to them, they use their tiny feet to push off the ground and delightedly bounce up and down I would highly recommend this place checkpregnancy.com ….